Bushnell Binoculars cover a wide range of styles and quality levels, from inexpensive porro prism models to mid-priced roof prism offerings. Many of the more advanced binocular models feature their RainGuard water repellant lens coatings and are waterproof and nitrogen purged. Whether you're interested in birding, hunting, watching sports, travel, or general use, Bushnell has a binocular that will fit your budget and your needs. 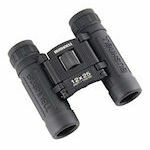 The Bushnell Engage Binoculars feature ED glass and a PC-3 phase coated prism system to give an bright, clear view with minimal chromatic aberration. They are lightweight, ergonomic and fully weatherproof with a water repellent lens coating. 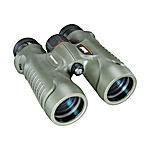 Bushnell H2O porro prism binoculars are made for water, being waterproof and fog-proof. BaK-4 glass prisms and multi-coated optics provide bright, distortion-free images. Also compact designs, there's an H2O porro binocular to fit everyone's needs. 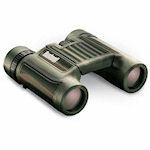 Bushnell H2O roof prism binoculars are made for water, being waterproof and fog-proof. BaK-4 glass prisms and multi-coated optics provide bright, distortion-free images. These rugged roof prism designs, compact or full-sized, will meet anyone's needs. 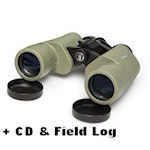 Legacy WP binoculars are all-purpose porro prism binoculars available in 8x42, 10x50 and 10-22x50 zoom models. Made with BaK-4 prisms and fully multi-coated optics, Legacy WP binoculars are fully waterproof, fog-proof and very durable. Bushnell Marine binoculars are floatable, waterproof, fog-proof, full- sized 7x50 binoculars with BaK-4 glass porro prisms, UV-coated lenses, available with a built-in compass. They are rubber-armored and highly resistant to saltwater corrosion. 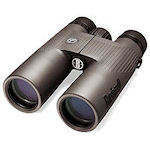 Bushnell Natureview binoculars are a diverse line of roof prism, porro prism and reverse porro prism designs. BaK-4 glass prisms and fully multi-coated optics (select models) yield crisp, bright images. All Natureview binoculars are waterproof and internally fog-proof. 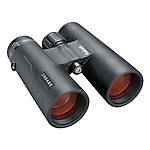 Bushnell Natureview Roof Prism Binoculars sport BaK-4 prisms, fully multi-coated lenses, 5-foot close focus, and non-slip rubber armoring. They are available in 8x32, 8x42, and 10x42 models. 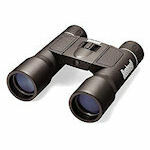 Bushnell Powerviews are compact binoculars featuring multiple magnifications and designs. 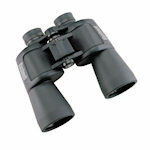 Powerview binoculars can be roof prisms in 1- or 2-hinge designs or reverse porro prism models. All have multi- or fully-coated optics for brighter, clearer images. 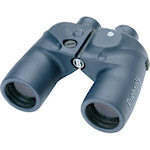 Powerview porro prisms are full-sized binoculars with multi-coated optics, non-slip rubber armor that can be black or camo. 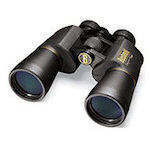 They are durable and versatile, featuring 7x, 10x, 12x, 16x and 20x magnifications and a zoom model. 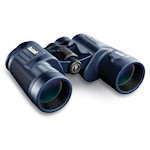 Powerview roof prism binoculars have fully coated optics and offer versatility of multiple configurations, including 32-mm mid-sized models as well as zoom designs. Powerview roof prisms are durable in black or Realtree AP camo armoring. 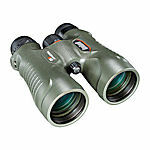 Bushnell Trophy binoculars are waterproof, fogproof, and rubber armored. The lenses are fully multi-coated, and the eyecups have two-step detents on all four models. Bushnell Trophy Xtreme are big lens hunting binoculars. They are available in 8x56, 10x50, and 12x50 configurations. Trophy Xtremes are water- and fogproof and rubber armored.